The Chevrolet Bolt is the first affordable, long range electric vehicle to come from General Motors. But with every new vehicle, there are some questions. So here are some of the most popular questions that consumers have when looking at the all-new 2018 Chevrolet Bolt EV. Q: What electric range does it have? A: It is rated for up to 383 km but depending on climate, it could be a little bit less if it’s a cold winter day or higher if it’s a warm summer day. A: There are 3 ways to charge the Chevy Bolt EV. It can be charged from a 120 Volt wall plug, a 240 Volt charging station, or a DC fast charge station. From a 120 Volt outlet, it will take a little over 50 hours to fully charge. But thankfully there are faster charging options and in approximately 9.5 hours from a 240v charge station. Or in approximately 2 hours from a DC Fast Charge station, you can have a fully charged Bolt ready to take you on your next adventure. Q: Where can I charge the Chevrolet Bolt? A: The myChevrolet mobile app allows you to see available charging station in your area or along your trip. Most cities in North America have 240 Volt charging stations readily available at various popular locations. 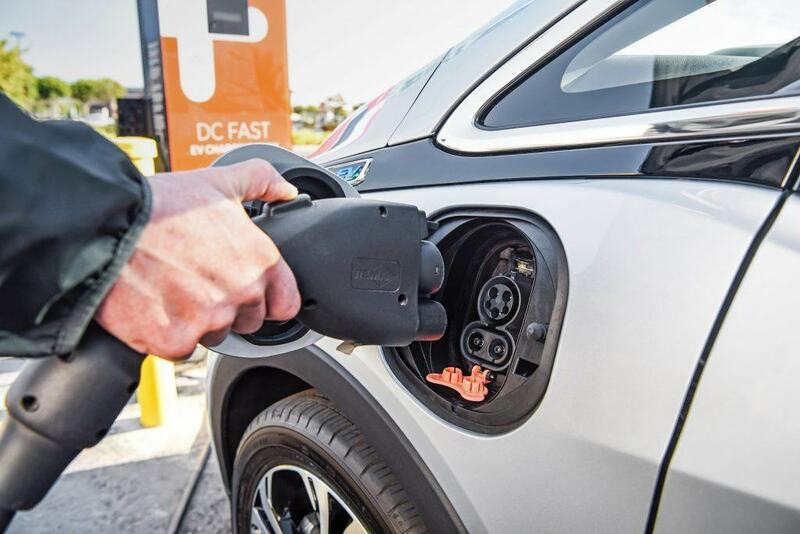 DC fast charge stations are more commonly found at GM dealerships. Q: Do I need any special equipment when charging at home? 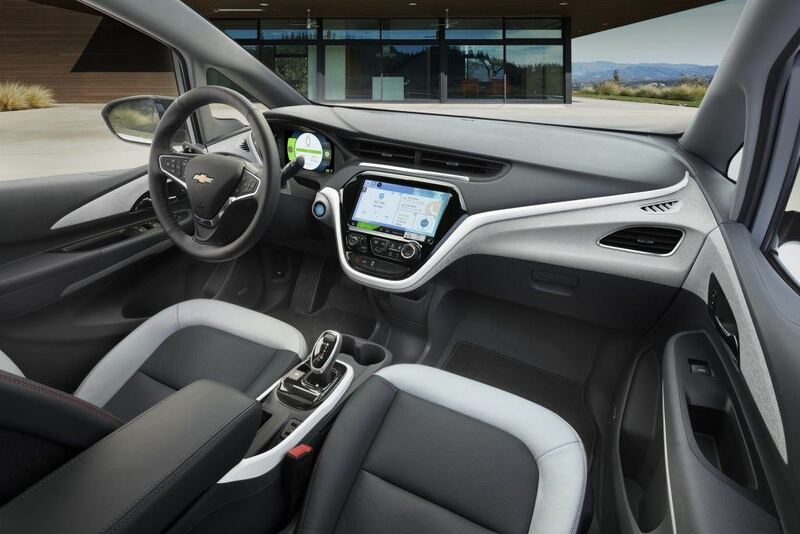 A: Every Chevrolet Bolt comes with a 120 Volt charging cable that can be plugged into any 120 Volt wall outlet. But because it takes a little over 50 hours to fully charge the Bolt from a 120 Volt source, Chevrolet highly recommends purchasing a 240 Volt charging unit (also called an EVSE) and getting it professionally installed into your garage. They typically range in price from $700 CAD to just over $1,000 CAD depending on the model and features. Q: How do I know how much energy I’m using? A: The standard 8-inch diagonal Driver Information Center and 10.2-inch diagonal color touch-screen displays in the Bolt EV. There is also the myChevrolet Mobile App to make it easy to track your energy efficiency and charge status. Q: How does it compare to the Volt? A: The Volt can only drive for about 85 km before the onboard gasoline generator turns on to provide extra range. 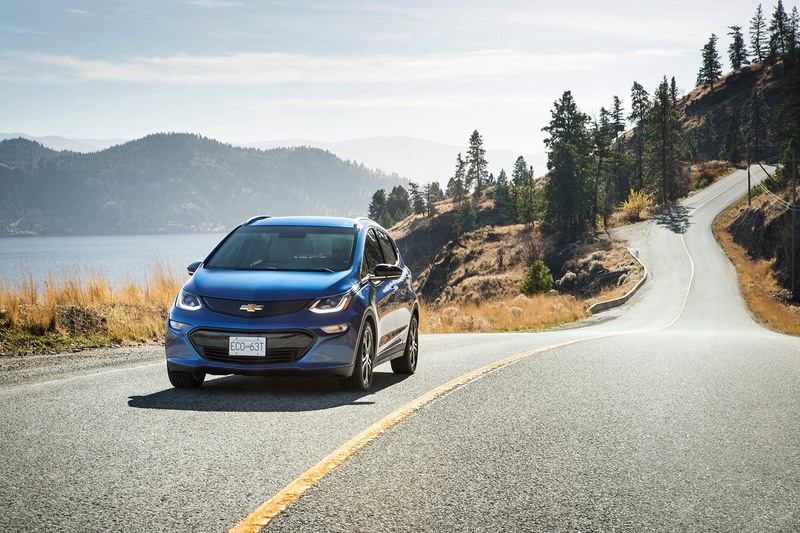 With the Volt, you are still using fossil fuels on trips that are longer than the rated 85 km of pure electric driving range. A: The 2018 Chevrolet Bolt has a starting price of $44,300 for the LT trim. The LT trim is nicely equipped with a 10.2” touchscreen, a backup camera, 4G LTE with Wi-fi, SiriusXM satellite radio, heated front seats, climate control, and remote vehicle starter system. The Premier trim costs $49,300 and it adds side blind zone alert with lane change alert, rear cross traffic alert, BOSE premium audio, 360 vision camera, and is also available with forward collision alert and automatic braking. Q: Are there any government incentives? A: Yes. The amount of incentives that you can receive from the Government vary from province to province but here in BC you can currently receive up to $5,000 via the CEV for BC program. Q: What warranty does it come with? A: The Chevy Bolt comes with 3 years or 60,000 km new vehicle limited warranty. 5 year or 160,000 km 24 hour roadside assistance. As well as an 8 year or 160,000 km battery and electric components coverage. A: The Chevrolet Bolt is available now but you’d better hurry as inventory is limited due to the popularity of the Bolt and it is a 3 month wait for a custom order. 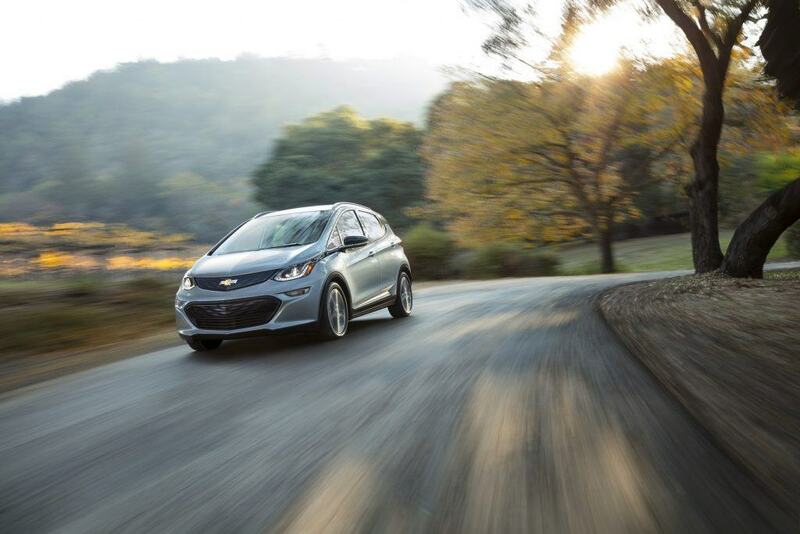 With multiple green car and car of the year awards, the Chevrolet Bolt is the practical, fun, affordable, and efficient way to get around in the 21st century.